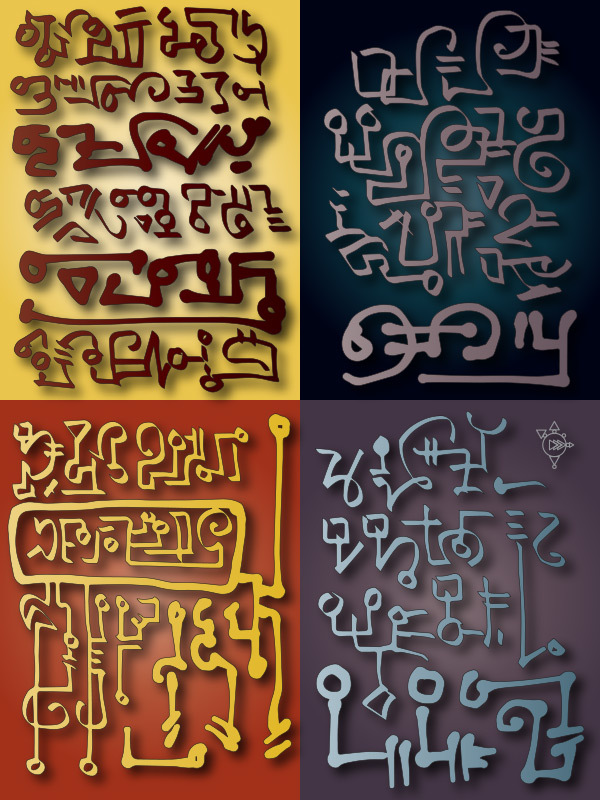 I doodle frequently, and one of the things I doodle is fake symbolic or hieroglyphic writing. I found an app for iPad called MyBrushes that allows for remarkably calligraphic strokes. I used it last year to create the four panels of "writing" in this artwork. 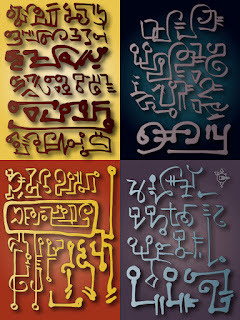 Through The New Post-Literate Blog, I learned that this kind of art is called "asemic writing." You can find quite a lot of it there, even animated examples. It's fun to look at, but not more fun than to create it.